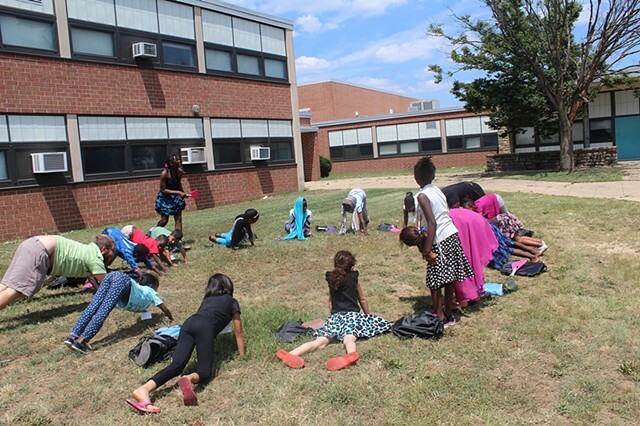 Summer 2016: During Baltimore City Community College Refugee Youth Project’s six-week summer program at Vanguard Middle School in East Baltimore, I facilitated a nature-based curriculum for eighteen 4th-8th-grade refugee youth. 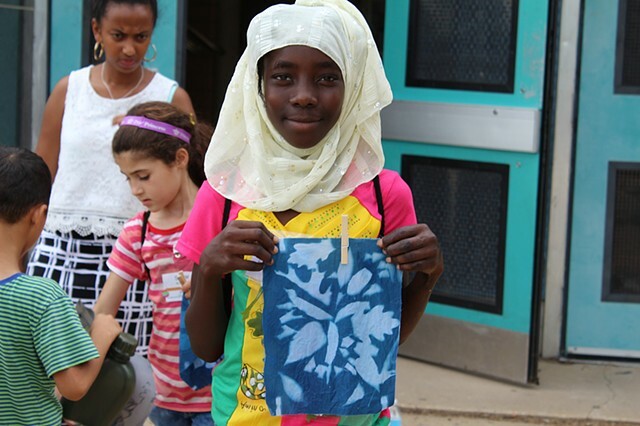 Through experiential learning, refugee youth explored their relationship to the local environment world and developed a deeper connection to it. 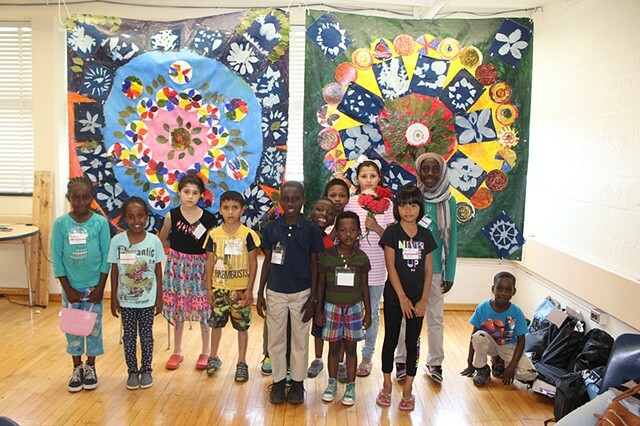 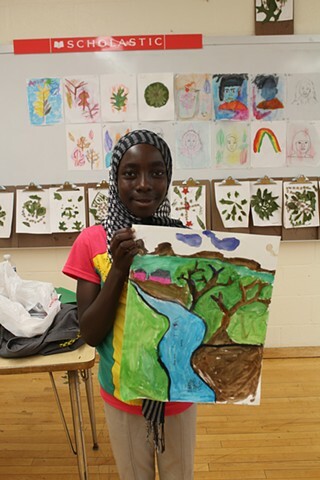 Refugee youth developed art skills, learned about environmental care, beautified public spaces, appreciated nature, and enhanced their sense of belonging in their environment. 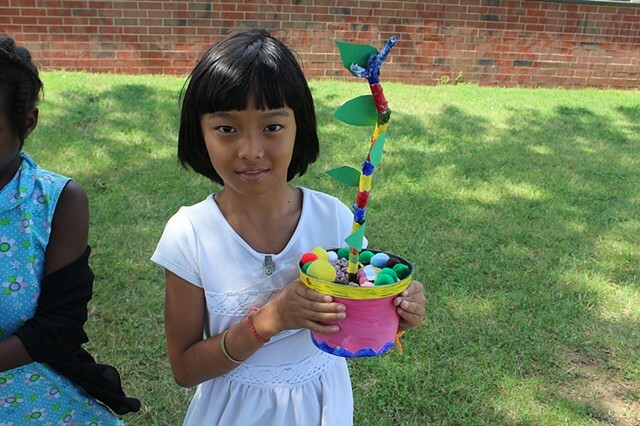 Youth created artwork inspired by nature using material from it, intertwining process with product. 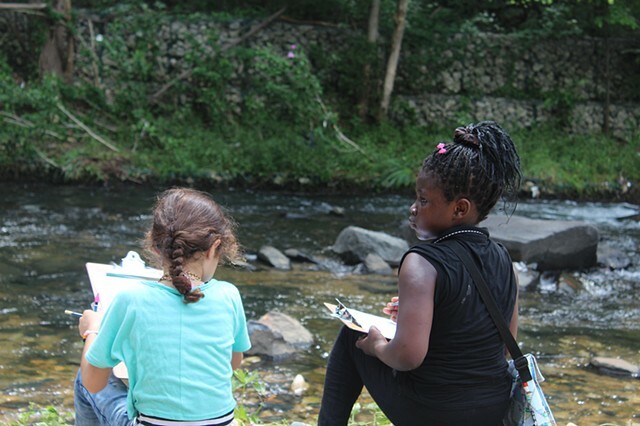 Each day, we spent a portion of class outdoors on site grounds or on one of several field trips to nearby Herrings Run Park. 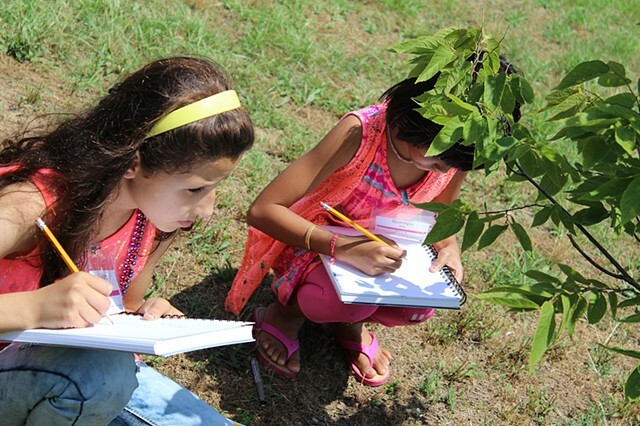 Each session began with outdoor contemplative practices such as yoga, breathing exercises and sketching. 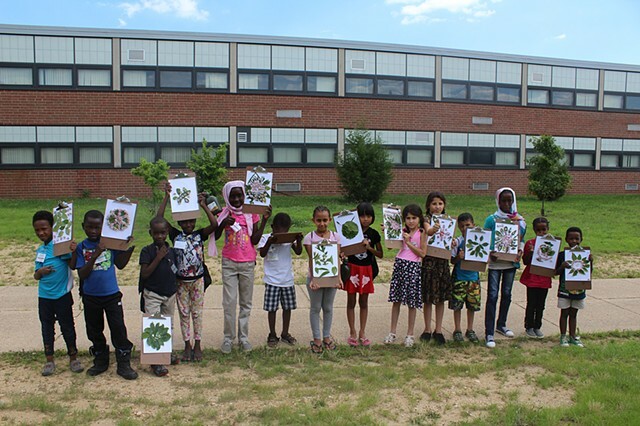 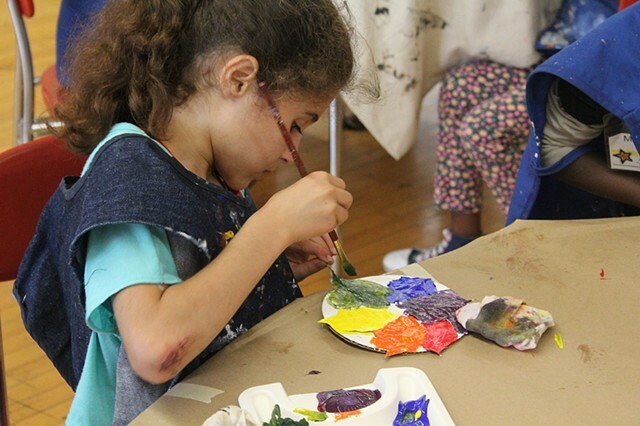 Using inspiration and materials collected from outdoor adventures, youth created leaf self-portraits, landscape paintings, on-site observational artwork, sun-printed photography (cyanotypes), mandalas, and bonsai landscape sculptures. 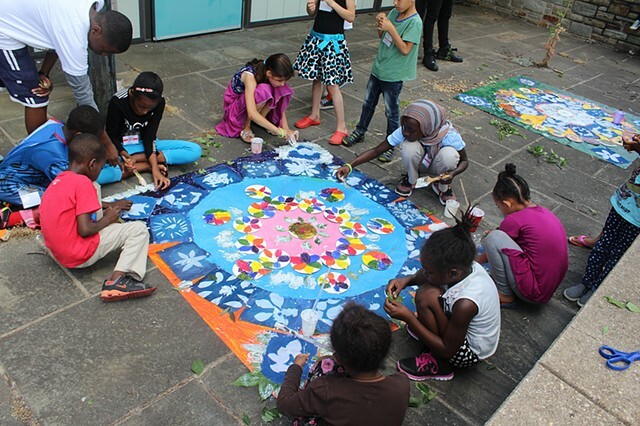 Youth also participated in several collaborative projects highlighting each of our creative parts in a larger whole. 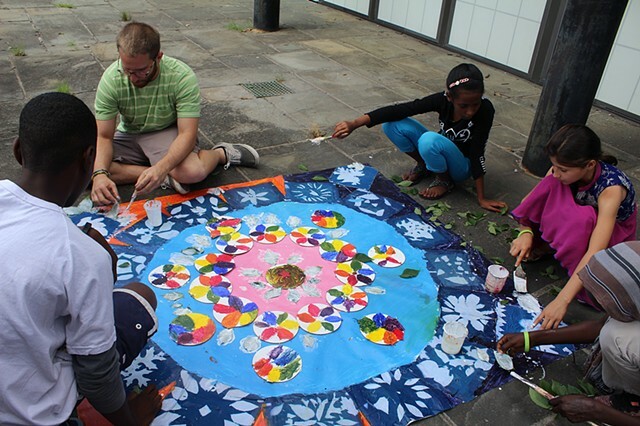 As a class, we created two large-scale collaborative mandalas using collaged elements from various art projects as well as found objects in nature. 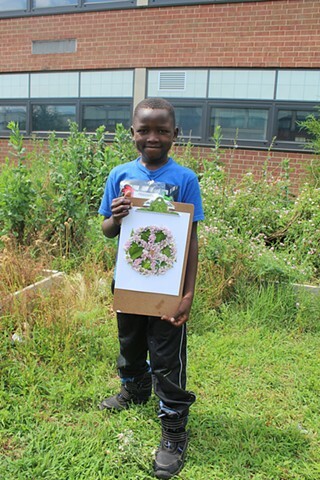 Throughout the curriculum, participants gained an understanding of themselves as part of nature in an interconnected world as a means to ease their integration into a new culture and environment. 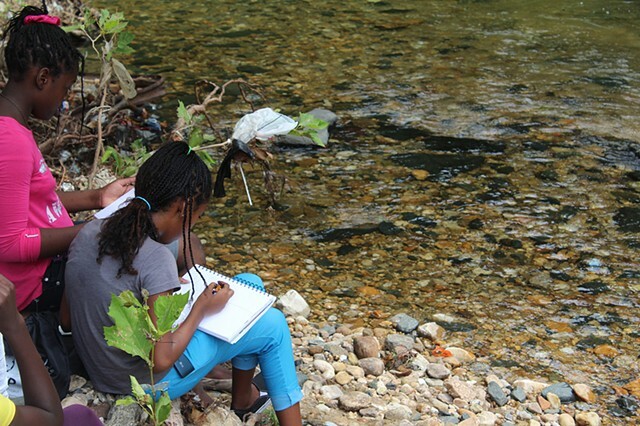 Together we developed a stronger sense of place.